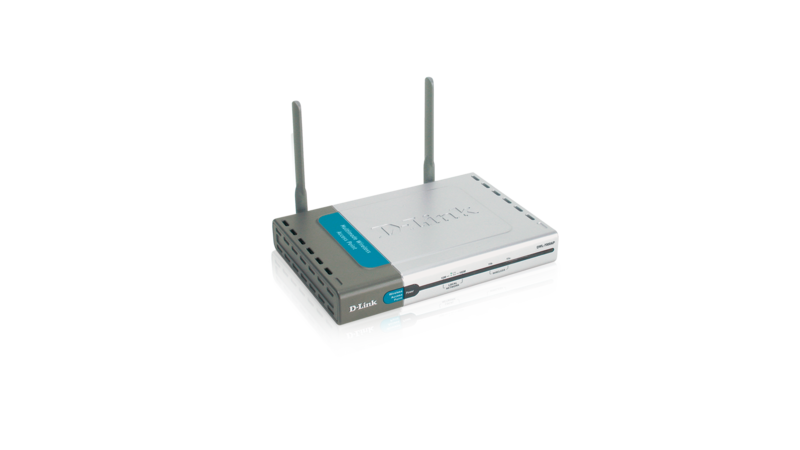 The D-Link Air Xpert DWL-7000AP Wireless Access Point is a tri-mode, dualband Access Point that operates seamlessly and simultaneously in both the 2.4GHz and 5GHz frequency spectrums supporting the 802.11b and the newer, faster 802.11a and 802.11g wireless standards. D-Link, the industry pioneer in wireless networking, introduces another breakthrough in wireless connectivity — the D-Link Air Xpert DWL-7000AP Wireless Access Point. This tri-mode, dualband Access Point provides the most expanded user bandwidth available in an AP. Multiple wireless clients can connect to this AP using any one of its 11 non-overlapping channels to transfer data at speeds never before achievable in a wireless device. The DWL-7000AP operates seamlessly and simultaneously in both the 2.4GHz and 5GHz frequency spectrums supporting the 802.11b and the newer, faster 802.11a and 802.11g wireless standards. For offices, schools or public hotspots that already use 802.11b devices, the DWL-7000AP is a great way to expand an existing network and enable even more users to communicate with one another, access data and the Internet. Now, you can have an AP that will complement your existing network and protect the investment you made when you provided the convenience of wireless networking. The DWL-7000AP can be configured to perform in any one of four different modes — as a wireless access point, as a point-to-point bridge with another access point, as a point-to-multi-point wireless bridge or as a wireless client. The DWL-7000AP also includes an embedded DHCP server that once enabled will automatically assign IP addresses to wireless clients. This unique feature makes the DWL-7000AP an ideal solution for quickly creating and extending a WLAN in offices or other workplaces, or at trade shows and other special events. The DWL-7000AP offers maximum wireless signal rates of up to 54Mbps* in either the 2.4GHz or 5GHz bands, large data packets travel from the router to a remote desktop or roaming laptop PC at up to five times the speed of previous wireless devices. Everyone can work faster and more efficiently or watch a streaming video smoothly. The additional (802.11a) 5GHz band also offers a way to quickly transfer data without the interference produced by other devices operating in the 2.4GHz frequency. Network administrators can partition the usage of the dualband DWL-7000AP by segmenting the users on the wireless network by frequency band. Users who require special networking privileges — access to sensitive information, specific departments or videoconferencing — may use just the 802.11a channels; while other employees may just use the 802.11b and 802.11g channels. This type of user segmentation optimizes the AP's performance and delivers the best network experience to each set of users. The DWL-7000AP is ideal for network administrators who require additional management, firewall, and other network security features. All of the AP's settings are easily accessible in the operating system independent, Web-based software user interface that also features a step-by-step Setup Wizard to get your router up and running in just a matter of minutes. The DWL-7000AP incorporates the 802.1x standard for wireless user authentication and WPA** (Wi-Fi Protected Access) which dynamically encrypts data as it's being sent. * Maximum wireless signal rate based on IEEE Standard 802.11a/11b/11g specifications. Actual data throughput will vary. Network conditions and environmental factors, including volume of network traffic, building materials and construction, and network overhead, lower actual data throughput rate. ** WPA features available as a firmware download.